Converse’s string of elevated collaborations continues this weekend, this time in partnership with Italy’s SlamJamSocialism. 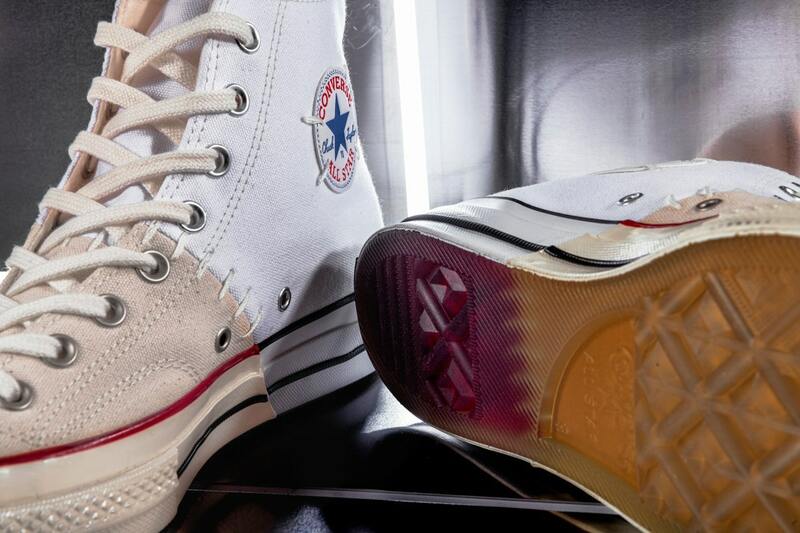 Check out the two pairs of the Converse Chuck Taylor All Star 70s split and sewn back together in haphazard colorways. Collaboration is the name of the game in 2019, as we’ve already seen dozens of silhouettes and colorways come and go so far. This week, SlamJamSocialism is throwing their hat back into the ring, announcing their first new release since the upside-down-Swoosh-adorned Nike Blazer from January. 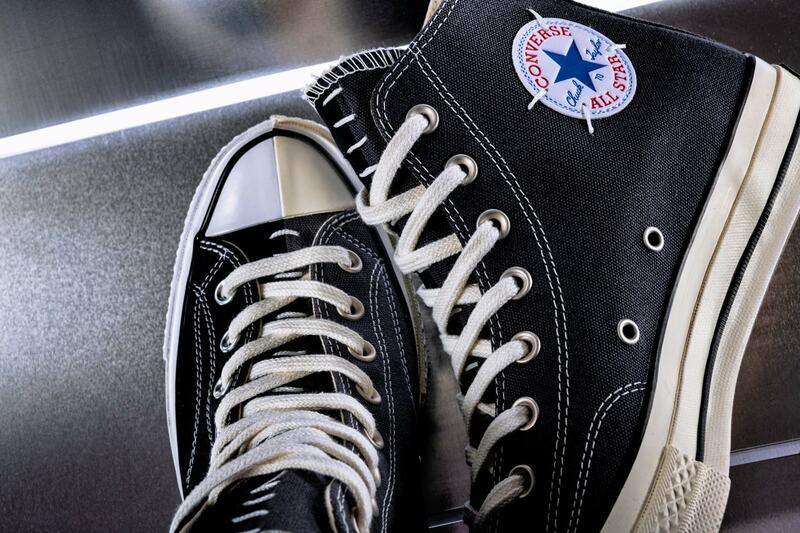 This time around, the Italian retailer will be working with another branch of the Nike family, Converse, on two colorways of the Chuck Taylor All-Star 70s. 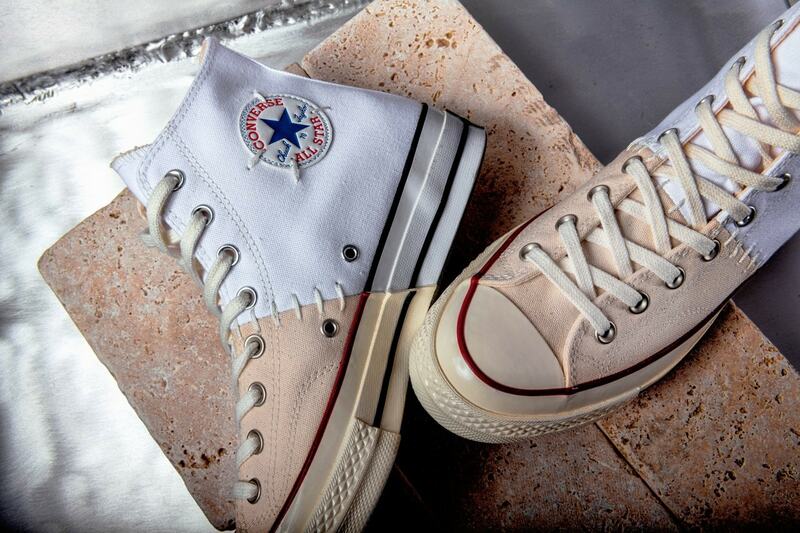 The theme of SlamJam’s latest project with Converse is reconstruction. 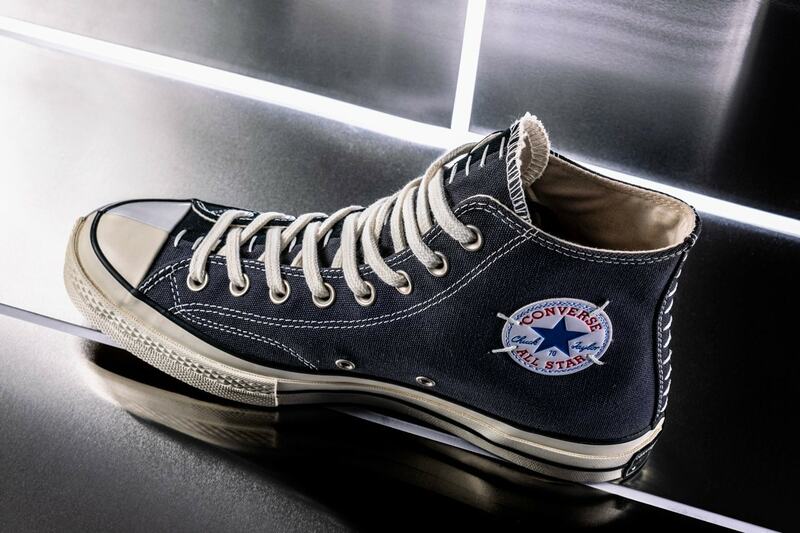 To begin, the team behind the shoes began with four individual colorways of the Chuck 70s in navy blue, black, white, and off-white. Next, the shoes were simply chopped in half and subsequently stitched back together at the midpoint. The black and blue pairs are fused down the center to create an interesting contrast between the colors, while the white pair is split asymmetrically, featuring the flat white sections for the heels and the creamy off-white tone for the toes and forefoot. 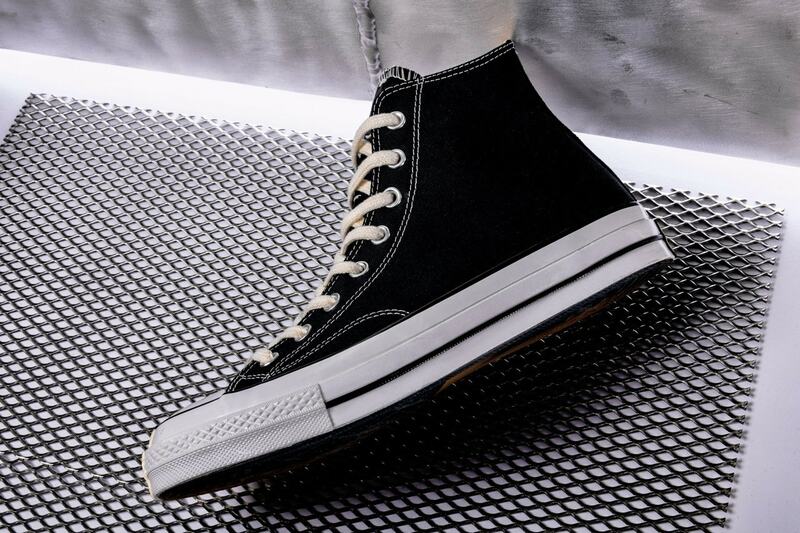 The latest project from Slam Jam Socialism x Converse is slated to release both online and in-store on April 15th, 2019. 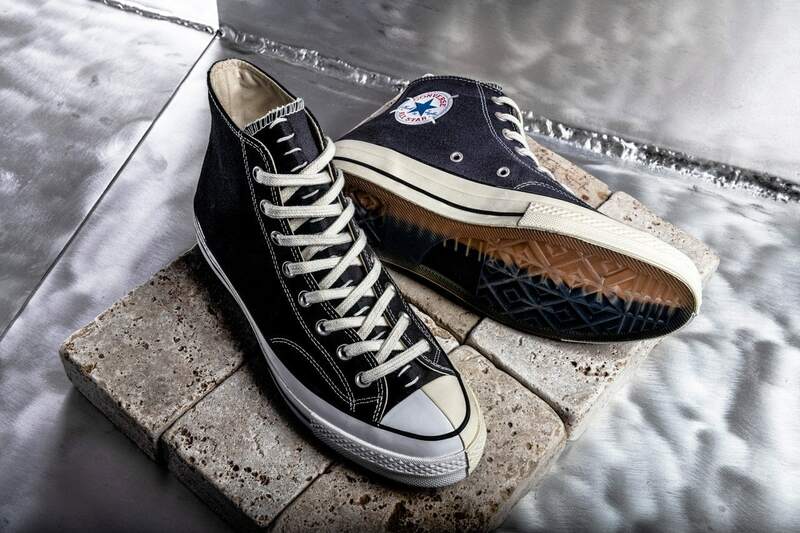 The “Reconstructed” Chuck Taylor All Star 70s has currently not been given a retail price, though we expect them to cost much more than the standard for Chucks. Check out SlamJam’s early images below for a better look, and stay tuned to JustFreshKicks for more Converse release news.